Wearing A Team Uniform Should Be Earned. Baseball Team Uniform should be earned and worn with pride. One of the surest ways to have team pride and to be proud of your uniform is to have earned it. There is something very special about being able to earn the right to wear a teams uniform. Earning this right for play and wearing a team uniform in any sport is one of a youngsters most cherished moments in life. The baseball team in non professional play should simply have rules whereby a player competes and earns the right to wear his baseball team uniform. These rules to earn a uniform for Tee Ball or Little League should not be so extreme as to eliminate a youngster who wants to play. The rules could be such as: Must attend a certain number of practice sessions and some lesser skill playing actions, to be allowed to wear the uniform. Shamefully many youngsters are simply ramrodded to participate by over indulgent parents, demanding that their kid be placed on a team, and sometimes the kid could care less. Each young player should play the game of baseball on his own voluntary "want to." The own terms of the youngster should be in the best interest of the team as well as the player. Our society and communities need to remember and get back to the basic and rudimentary basis of playing little league baseball. It should be fun for the youngsters while teaching the art of the game and instilling pride of being a team. This uniform thing fosters such things as being a team. Being a team which wins dictates a need for pride; otherwise, a team is no team. It is simply a wholly mess of misfits. We are talking now of the start up, beginning level, baseball teams. If there is a need for a baseball team uniform then the team, as the sponsoring entity, should provide the uniforms. There is no rule in life which tells us that a beginning young ball player has to have a uniform to play a baseball game. The baseball team uniform thing, at the beginners age, is not the youngster but the society of parent's requirement. For a parent to buy the uniform and suit that youngster up has taught him nothing in life about earning that uniform, or the right to wear that baseball team uniform with pride. Did he earn it? You might think so but I do not. Let's be honest about the principle involved about earning the uniform. This world is made up of the have and the have not, I did not make it that way, neither did you. It is; however, the way things are. That brings me to the point of one little feller across town who is not a part of the have group. His folks might have more pressing needs than to buy their youngster a baseball team uniform. Sad commentary on our society isn't it? But you might counter by saying, "Hey, we will provide a uniform someway." The kid nor his family did not come to the ball diamond looking for charity. The youngster came to play ball. I will drop this subject at that. Did I say anything about not letting every kid who wanted to play on a baseball team not get the opportunity to play? No and a thousand times no. There is a principle involved with the concept of earning the right to wear a uniform. To wear the baseball team uniform with pride is what makes players play as a team and that makes for winners. The long and storied history of baseball has shown time and time again teams which win or win more consistently than their competition makes the general public and baseball fans clamor for their memorabilia. 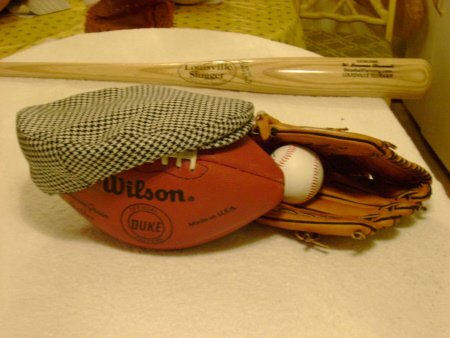 This kinship and love for their favorite team brings out the huge following for various items associated with a baseball team uniform. It appears the world leader with fans wanting to buy and showcase their favorites lists Yankee baseball, St. Louis Cardinal baseball, and Detroit Tiger baseball among the top each and every year. Then too the Cubs baseball, Mets baseball and Minnesota Twins baseball are close on their heels for fan adoration and wanting apparel duplicate or even actual team used pieces of the team baseball uniform. A youngster about the 12 year age group as he earns those little league jerseys keeps Mom busy keeping it washed and ready for he wears it day in and day out. Little League uniforms are almost his Sunday go to meeting attire he wears it so often game or no game. Baseball team uniform will have just such an effect on our youngster playing their games out there in their Field Of Dreams. One item of interest is the notable classic baseball uniform. What might be considered trivia to many the baseball uniform has a meaning and almost a life of its own. A smart looking eye catching combination of color and design make the wearer feel a sense of pride. Taking this sense of individual pride and instilling it into every player on the team and you have the beginnings of a winning team. Dress your team decked out in a classic baseball uniform and team pride soars. Classic baseball uniform in most part is associated to and with the traditional perennial winners. Winning teams are also the pride of its spectator or fan base and the uniforms the team wears becomes the standard or classic baseball uniform. Now one final thought on the classic baseball uniform. Style cut and materials content may change but the classic baseball uniform is and will remain the wool trousers and shirts with the trousers bloused at the knee. Winners are those teammates who come together as a team and play together with pride. If the world would only recognize that the score of the game is not what determines real winners. What a wonderful place this would be. That pride of baseball youth uniforms thing carries over to all walks of our society. Would you care to pay the salary of a policeman who has no pride in the uniform he wears? Could our Marine Corps ever win a battle on a battlefield if there was no pride in what that uniform represents? Do Firemen not have some pride while wearing of their uniform while on duty? Did the Marine, the Policeman and the Fireman earn their right to wear their uniform ? You Betcha they did and all who competed for that uniform did not get one. There is such a thing as having competition levels tempered to a point for which makes ones pride in achieving that uniform is a meaningful goal. I know all the Tee Ball and Little League sign ups are supposed to get a chance to be on a team. When does a player have to practice? When the player wants to? You see some things make common sense a reality so this thing about earning one's baseball team uniform should make just as much sense. Now we might shift gears a little and move up into the teen years and playing American Legion sandlot baseball and high school baseball. Many boys have reached their teen years yearning to continue their baseball playing but are sadly greeted with stiff and hard fought competition. Coaches often have a limited and finite number of players allowed per team. The number of players allowed and the number of uniforms available dictates that only the best players survive and get to don that baseball team uniform. This ability to compete and win be it a baseball team uniform,a job, a promotion or maybe even an honor continues throughout life and becomes a thing of pride and importance. There is the joy of competition for making the team, and coaches need to be ever vigilant, to ensure his players not only play the game to win, but also are proud to wear that uniform. A little information and some of the history of the Baseball Uniforms and the Baseball Team Uniform. Glimpsing into the professional organizations, and watching the demeanor and actions of these big league teams, is a truth teller---this playing as a team and wearing that uniform with pride produces winners. The team owners, although all are regulated by the same League rules, still set the stage for how well their team joins together playing with pride as a team. We know well that the players change teams seemingly too often. By the same token owners of the teams also are quick to change, thereby losing some of the esteem of continuity in team togetherness. When you notice, and you will notice, a team that pays very little attention to the small details will not play as a team and will quickly go to the losers bracket. An example of teams playing without pride of how they look, is pants to their shoe tops even dragging in the dirt and some with their pants bloused,on the same team on the same field. "Piggy" Mitchell my high school coach instilled in all of his players to wear that uniform with pride. Teams with players and a manager habitually arguing umpire calls will be one of the also ran teams, and will play below .500 percentage baseball as a matter of routine. Play the game by beating the other team. Let the umpire do his job. Do not blame the umpire calls as your excuse for losing. It is the team that lost not the umpires. Now we see the picture clearly. The team owners and the team organization which demands the players to display team pride while wearing that baseball team uniform are winners. The teams who do not wear that team uniform with pride and dignity, in every aspect of the game, will find the chance of dynasty greatness will absolutely pass them by. 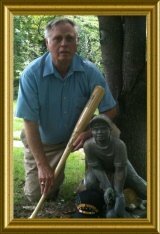 Major Wiley B. Channell USMC (retired) telling it like he sees it right here at http://www.baseballfarming.com. More about baseball uniforms is available by going back to my uniforms page from here at Baseball Team Uniform . The fascinating world of sharing a passion via the Internet could come alive for you. Come visit to learn about how you might enjoy your very own website while being guided by the folks at Solo Build It.